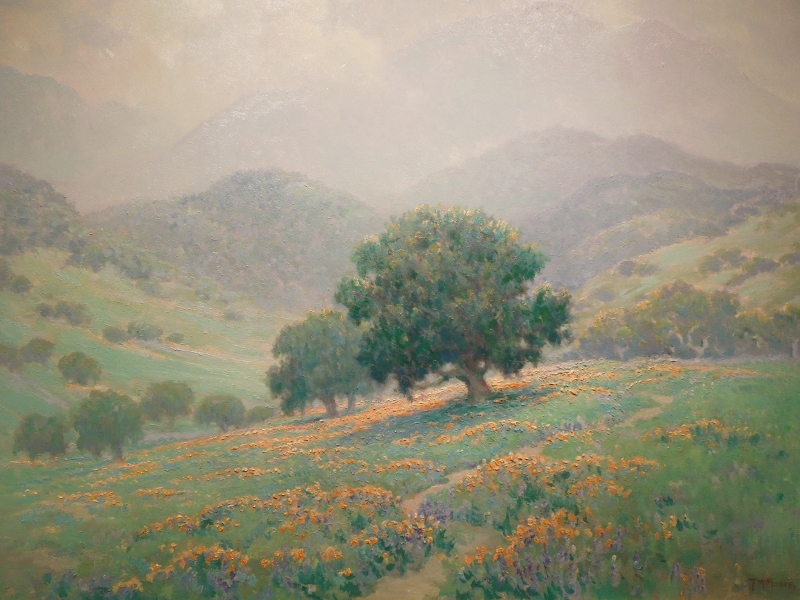 The paintings in Paradise Found: Summer in California, evoke a sunny natural landscape — the sparsely populated Southern California of the past. Spring brought fresh, green grass, orange poppies and purple lupines, shown above. Even now, the hills and mountains turn green this time of year. Beverly Hills is no longer known for its natural landscapes. Around 1900, people stepping off ships near Los Angeles were in luck if they arrived in springtime. 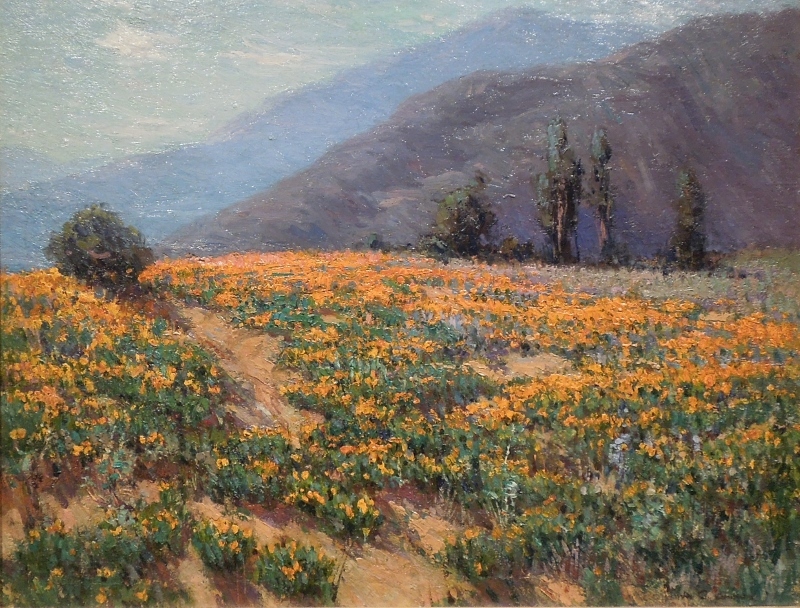 They could see, forty miles north, fields of California poppies shimmering orange in the sunshine, on a gentle slope rising above Pasadena and just below mountains. These are lovely finds. Do you know if the Irvine Museum displays them on an ongoing basis? I’ve never been there. A museum of impressionist paintings near us! The first one in my post, and maybe the others, will be displayed sometime in the future, but now the museum is celebrating their 20th year by displaying their most popular and important paintings. 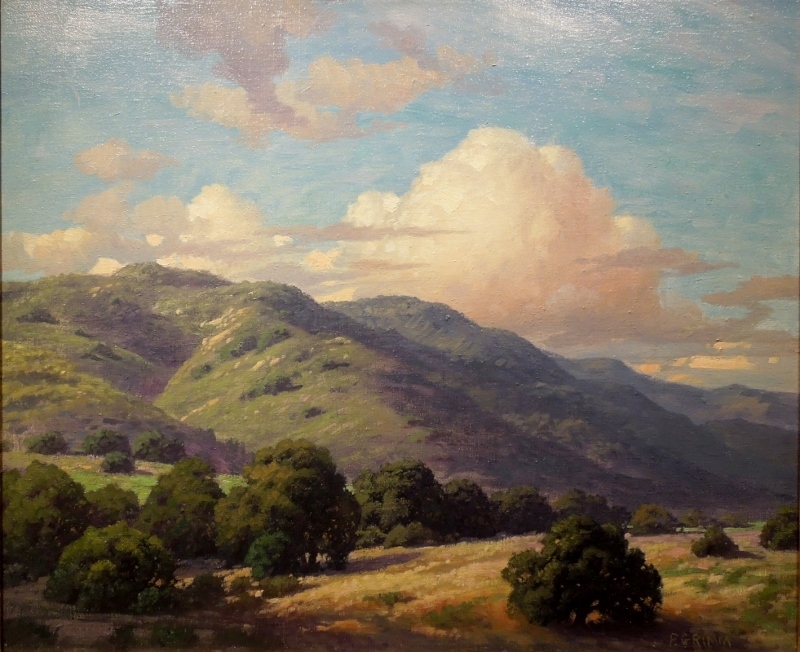 http://irvinemuseum.org. The big painting on the home page is huge, fabulous and always on display.